Every customer can participate in the online game for Bosch Power Tools if he make a registration to his purchase of Bosch power tools, measuring or garden equipment from Green and Blue series during the period 13.06. 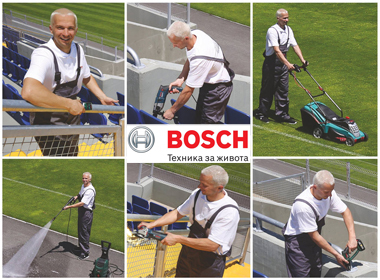 - 10.07.2016 on www.boschfans.bg! This allows to win one of three refrigerators Bosch NoFrost, model KGN36VL31.